Modern painting:Modern Frame less canvas printing artwork, picture photo printed on thick quality canvas. Home/Wall decor:A nice wall decor paintings for living room, bedroom, kitchen,office, hotel, dining room, office, kids room,kindergarten and community. 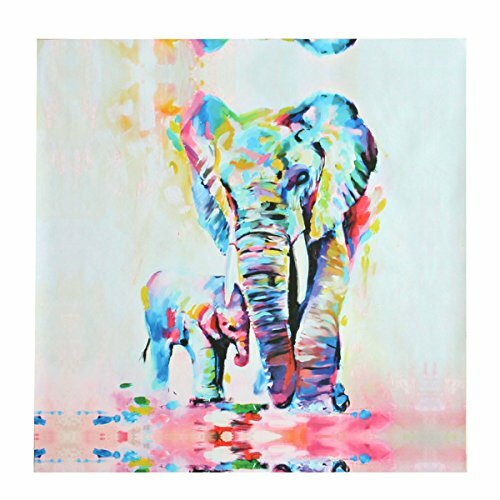 Unique image:The oil painting of elephant stands for its charmingly naive, honest image around the world. Special meaning:Abstract not only accompanied by a sense of art, but also a "bring wealth" meaning,great gift for Children room. Intimate packaging:Well package with tube. No folding and creases. Frame Less and Easy installment . If you have any questions about this product by PATHONOR, contact us by completing and submitting the form below. If you are looking for a specif part number, please include it with your message.